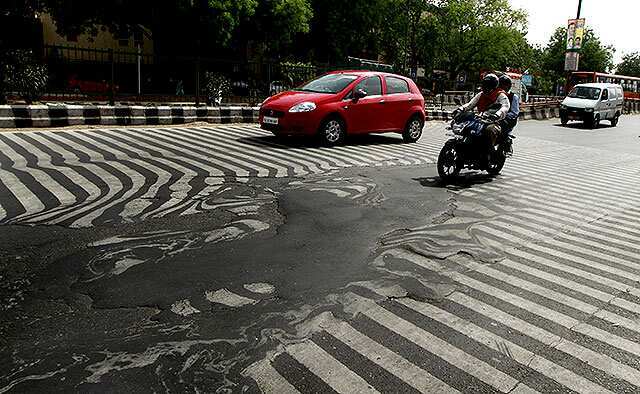 the iconic photo from India, where a recent heat wave melted asphalt. From Hindustan Times. We’ve been treated (if that’s the right word) to a number of heat waves already this year. The northern hemisphere is currently home to record temperatures all over Europe. England had the hottest July day on record on the First day of the month, which isn’t promising for the next 30. There hasn’t been quite as much coverage of the recent heat waves in Pakistan and India, which together have claimed at least three thousand deaths. The above picture of a road melting in India has made its way onto progressive websites, where they treat global warming as a real problem. And commentators in Western media are too polite to point out that India and Pakistan have no air-conditioned sanctuaries for those struck by heat stroke. The tens of thousands of people who died in the 2003 heatwave in Europe at least lead the EU to set up emergency planning for future events. But poor countries can’t afford all the needed chillers–and (truth be told) there probably isn’t enough natural gas on this planet to build all the chillers and power all the AC necessary for all seven billion of us. But while the newspapers and media outlets (at least in Europe and Asia) are making the connection between global warming and the current crop of heat waves, there’s a bigger issue. What nobody is talking about is the other problem such weather brings. As the people discussing human extinction would point out, there’s a point where our food stops propagating. Our food crops stop photosynthesizing at a certain point in heat waves. There are some variables (water availability and soil composition) but when the talking heads deal with the heat waves of 2003, they rarely if ever mention the reality that Europe’s 2003 heat wave was followed by the worst harvest in almost 100 years. And while the heat wave is the dramatic climate story, the continuing drought in California isn’t being mentioned. In the US, California is the originator of what Jim Kunstler calls the ‘three thousand mile Caesar Salad‘. As pointed out in Think Progress, California isn’t just almonds: California produces 84 percent of the country’s fresh peaches and 94 percent of the country’s fresh plums. It produces 99 percent of the artichokes grown in the United States, and 94 percent of the broccoli. As spring begins to creep in, almost half of asparagus will come from California. Those of us doing the grocery shopping are seeing price spikes for all sorts of fresh produce. This is all exacerbated by the fact that in the US, there’s ten calories of fossil fuel supporting every calorie of food we eat. The yo-yoing price of oil isn’t helping–people put the windfall from the crash of oil prices into their ‘savings’, which aren’t earning any interest thanks to the Fed’s increasingly doomed ‘QEII’ program. The understanding is that the economy is gamed against the 99% is now common knowledge. 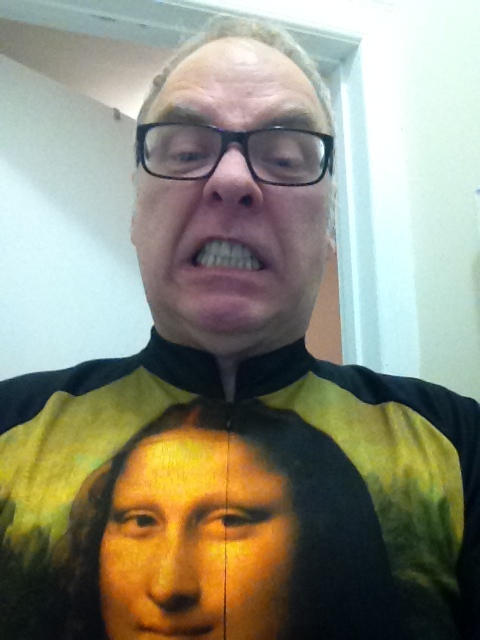 Would you take prognostications from someone who’d take a selfie that looks like this? But there’s too much going on to count on people who have no interest in telling you the truth. I don’t have an agenda here. I don’t get money if the articles I’m showing you all point to the future. I might get a cut of ad revenue that WordPress gets from my clicks, but that hasn’t happened yet, and it would be a pittance compared with paying my bills. And if you don’t trust me, you should listen to the Nobel Laureates who Just demanded quick action on the climate. Probably way too late, but nothing wrong with with this timing–one wouldn’t want to embarrass the POTUS on the subject. As Jim Kunstler has said, the motto of the US needs to be changed to “it’s the thought that counts“. And I’ve run out of room before I could even start on the issue of 96+ degree temperatures in the Arctic Circle. But we’ll have time to discuss that in our regretful times that are on the way.